Uses ontologies to extend, enrich or focus search queries. 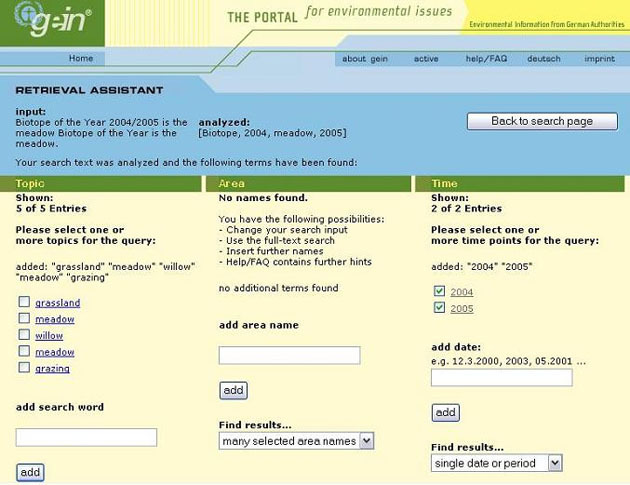 Users of the German Environmental Information Network can search content using semantically enhanced queries. Search strings are parsed to find and suggest to the user related topics. In addition to a broad range of topics, the content is matched against location and time dimensions of ontology. Copyright © 2005, TopQuadrant. All rights reserved.